For the month of October Oak Bay had 17 Single Family Sales, 175 Year To Date. Below is a chart reporting sales by price range from the Victoria Real Estate Board. If you are interested in reviewing Chief Economist Cameron Muir Outlook that was presented to the Victoria Real Estate Board last month please click on Housing Market Snapshot. 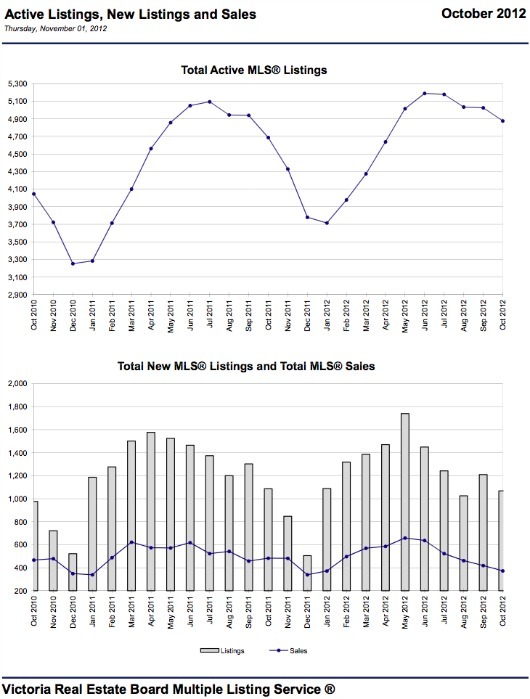 Below shows a Victoria Real Estate Chart Displaying The Total Active MLS® Listings for the Month of October 2012. For a more detailed look at the Victoria Real Estate Market please read my Market Update Page. 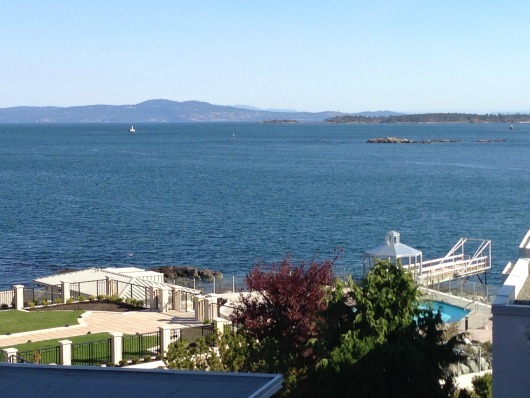 Also the Oak Bay Beach Hotel has 'Kate's Cafe' open now Daily from 6 am - 9 pm located at 1175 Beach Drive (close to the Victoria Golf Coarse). Please don't forget to set your clocks back one hour on Sunday November 4th. If you have real estate needs or wants please contact me direct at 250.744.4556. 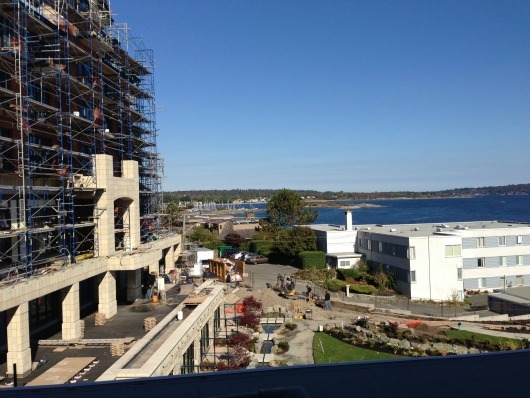 Please stay tuned for more Oak Bay Updates!